The Autumn Collection will be issued in two parts again this year. The first release will take place this Saturday at 6 pm EST. It will feature returning favorites from previous fall collections as well as bath and body products from the Manor, Foxcroft and Foxcroft's Autumn Festival Collections. All of these collections were originally "part 2" fall releases and have since become permanent. Perfumes are stocked year-round for these lines and other products in those collections are occasionally offered (on a limited basis) but this fall we have made more products in these lines than we usually do. Several autumnal General Catalog scents will also be available in bath and body products (see list below). All products will be listed on the Recently Added page for ease of ordering. 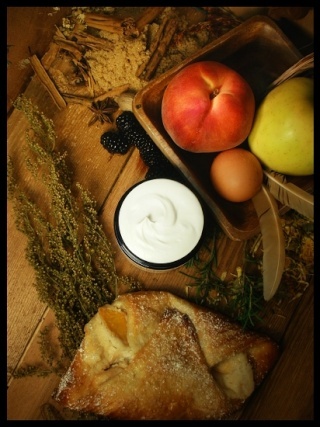 Products that are not exclusively Autumn Collection (such as the Manor Collection, Foxcroft Collection, etc) will not be found on the Autumn Collection page, so be sure to look at either the Recently Added page or, if you're looking specifically for Whipped Soap, you can look at that page. Usually, bath and body products are located on the "Other Products" page, which contains subcategories for other products. For ease of ordering, I have re-enabled the categories of Bath Soaks, Whipped Soaps, etc. on the main menu. 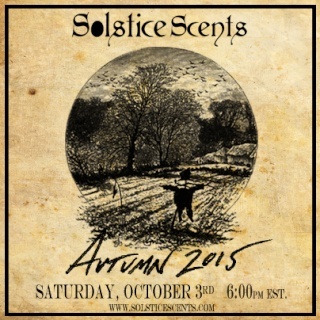 We will not have an Autumn Collection perfume sample pack for sale but you may select any autumn perfumes you'd like to try in our choose your own 5 or 10 sampler pack found on the Perfume Samples page. Leave your choices in the comments box on our site at checkout. Fall part 2: We will have brand new fall scents in perfume only format (some specifically in EDP format) available late in the month near Halloween. We do not anticipate restocking any of the bath and body products from fall part 1 but we will continue to stock the fall part 1 perfumes for several months. If we restock any items (bath and body and/or Glace), this won't occur until the second part of the fall release and will be limited to a few select high-demand products, not the full spread of what will be available tomorrow night. We did endeavor to make a lot of stock so that things don't sell out within the first few minutes of the release. We anticipate some inventory to be left on Sunday and possibly beyond but some popular items will likely sell out. We can never tell exactly which products will be the most popular so for the best selection and availability, try to place your order as near to 6 pm EST as possible. For faster checkout, you may wish to go ahead and create an account with us (if you don't have one already) so your billing and shipping info will be auto-populated and you can proceed faster to payment. NEW CUSTOMERS: If you are brand new and placing your first order, remember to select your free sample (available with every order) at checkout from the drop down menu. Leave a note in the comments at checkout that you are a new customer and also type in your choice of an additional free perfume sample. EDP samples are not eligible for free samples. Please select form our perfume oils (anything on the Choose Your Own 5 or 10 pack is eligible). IF YOU HAVEN'T ORDERED FOR SEVERAL YEARS: If you haven't tried our perfumes in a few years, we encourage you to try a sample pack! A lot has changed since our online debut in 2009. You may enjoy our 3.3 ml EDP samples as well. There are many unisex and masculine selections as well as the EDP exclusives of Estate Vanilla (our new house vanilla) and White Feather. NOT FOR WOMEN WHO ARE PREGNANT OR NURSING OR FOR THOSE PRONE TO HAYFEVER (Contains chamomile EO). Available in 10 mL Perfume ($15.00), Burnishing Glace ($16.00) and Whipped Soap ($10.00). 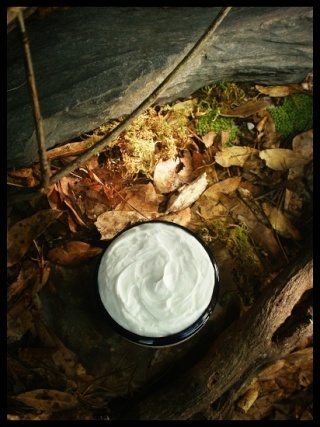 THORNWOOD THICKET - Completely reformulated! Please read description. Amber, Agarwood (Oud), Sugared Blackberries, Guaiacwood. An impenetrable entanglement of thick brambles and dangerously sharp thorny branches housing large sweet blackberries that are practically to the bursting point of ripeness. The scent is that of a sweet blackberry paired with exotic incensey woods. The dry down smells like a wonderful incense infused with dark berries. 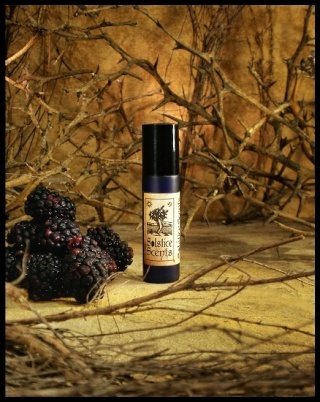 Thornwood Thicket opens with a blend of amber, oud and juicy blackberries. Amber and oud are the dominant notes in this blend, though blackberry is definitely detectable on the initial application and dry down. In previous years, the blackberry was the note in the foreground so Thornwood Thicket smelled like a blackberry oud perfume. For 2015, amber and oud are in the foreground with blackberry carefully balanced and detectable but not overpowering. Guiaicwood provides a light smoky element and we have added a subtle addition of oakmoss and liatrix to give a faint touch of deep green moss to the blend. Available in 10 ml Perfume oil ($16.00). A best seller! The fragrance is a blend of coffee essential and fragrance oils, sweet pumpkin, gingerbread whipped cream, cinnamon and a drop of nutmeg essential oil. Upon application, coffee is the first note to emerge, immediately followed by a spicy cinnamon. After just a few minutes a sweet syrupy scent emerges. The true dry down scent rises after about 15 - 20 minutes on the skin at which point the spice mellows and the coffee, pumpkin and cream all perfectly swim together in a pleasingly balanced brew. GEHENNA Completely reformulated! Please read description. Red Musk, Dragon's Blood Resin, Amber, Burning Wood, Somalian Myrrh, Egyptian Musk, Oud. The 2015 version contains additional notes of amber and supporting smoke notes with a touch of patchouli. The red musk accord is different this year from the previous year's offerings. 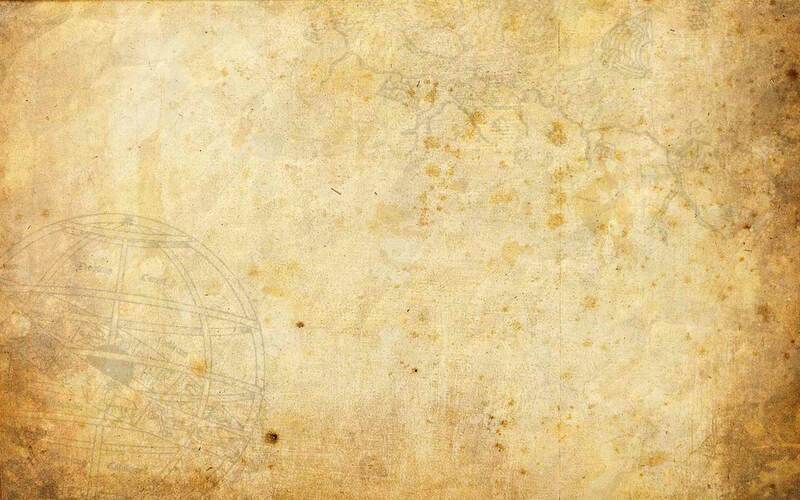 The perfume is similar to past incarnations but it is richer, deeper and more well-rounded. Gehenna is very much a head shop/new age shop fragrance with the prominent notes of red musk and dragon's blood. Available in 10 ml Perfume oil ($15.00). If you've ever wished to literally bathe in the essence of a late-afternoon Autumn day, Foxcroft is for you. An incredible blend of ozone, rich black soil, rustling leaves and chimney smoke, Foxcroft is at once cool air coupled with firey red, orange and golden leaves, a sweet sharp green note, fertile wet dirt and a touch of woods laced with the intoxicating smoke from fireplaces burning throughout the countryside. The wonderful smoke note in Foxcroft is primarily detectable in the perfume format, once some of the top notes have burned off and the powerful blast of Autumn air has subsided. The Whipped Soap and Dead Sea Salt Milk Bath are both more heavily scented with the other earthy notes with the smoke note mingling within as part of the profile. Wail of the Banshee is a very earthy fragrance combined with aquatic notes. It is heavy on the patchouli, woods and dank bog notes followed instantly by fresh rain and salty waves, smokey vetiver and finished with a hint of moss in the background. Dark and atmospheric with a clean aquatic edge. The Dead Sea Salt Milk Bath is topped with dried Irish Moss. 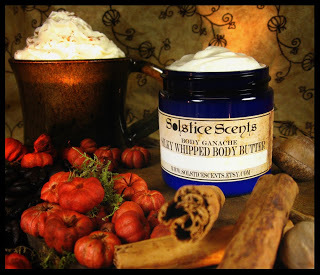 Available in Whipped Soap ($10.00) and Dead Sea Salt Milk Bath ($10.00) only. This fragrance does not translate well into the leave on products or they would be offered too. 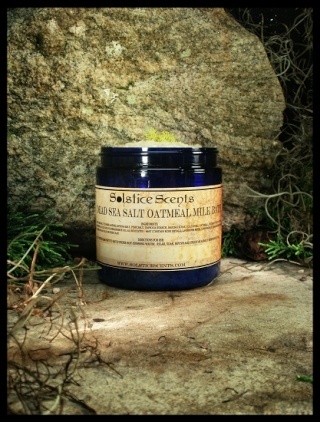 All Natural Dark and Earthy Blend of Cedar, Cypress, Spruce, Patchouli, Amyris, Violet Leaf Absolute, Oakmoss and More. NOT FOR WOMEN WHO ARE PREGNANT OR NURSING. An unkempt solitary stone crypt sits shaded in a dense forest of ancient cedar trees. Crumbling stone covered in rich moss lays on wet, dank soil that is cold to the touch. A memorial long forgotten, the only frequent visitors are the shadows of the sheltering trees. Crumbling Crypt is an all natural blend of essential oils and absolutes including Virginia Cedarwood, Patchouli, Oakmoss Absolute, Spruce, Cypress, Amyris, Rosewood, Patchouli, Violet Leaf Absolute, Rosemary, Lavender, Vetiver, Marjoram and Himalayan Cedar. It smells very woodsy, earthy, dank, green and herbal. IMPORTANT NOTE ON HOME FRAGRANCE OILS: Home Fragrance Oils have been formulated for use with a tea light soapstone burner. They may get too hot in glass, ceramic or electric warmers. It is possible they would perform well in higher temp warmers with the addition of unscented paraffin or soy wax, to mock a tart (wax melt) experience. Harvest Moon is a fragrance for those who wish that fall could last year-round. It is a true harvest-smelling autumn inspired blend of crisp fresh apple slices, pumpkin, butternut squash, cinnamon, clove, maple and roasted chestnuts. Apply this fragrance, close your eyes and imagine the vibrant reds, oranges and yellows of the fall leaves, the smell of smoke from a fireplace, the taste of mulled cider and feel the thrilling chill in the air tickle the nape of your neck. You will see in your minds-eye the colorful seasonal gourds and ornamental maize in the yards of your neighbors and hear the wind chimes in the fall breeze as the fallen leaves dance and rustle around your feet.